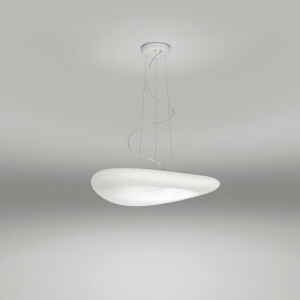 Italian design Mr Magoo pendant lamp has a metal frame and a natural polyethylene diffuser. 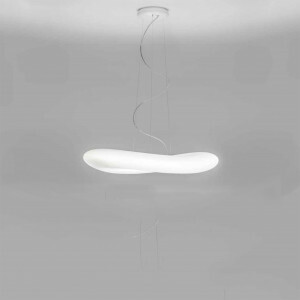 Energy saving lamp for your kitchen or lounge illumination. LED pendant lamp in natural polyethylene resting on painted metal frame. Direct-to-the-power technology, with 360° light diffusion. The lamp has a dimmer for adjusting light. 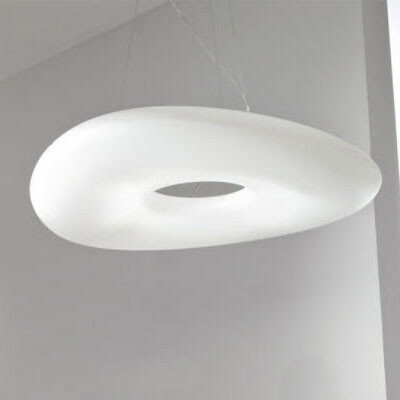 Diameter of the circle-shaped diffuser: 52.00 cm. LED pendant lamp in natural polyethylene resting on painted metal frame. Direct-to-the-power technology, with 360° light diffusion. The lamp has a dimmer for adjusting light. 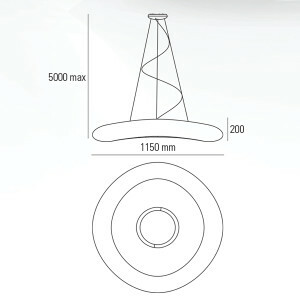 Diameter of the circle-shaped diffuser: 76 cm. 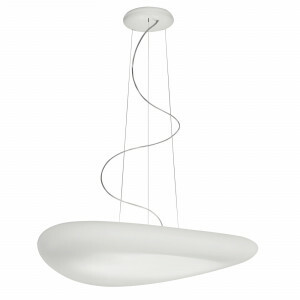 Designer suspension lamp in natural polyethylene resting on painted metal frame. Fluorescent lamp. Diameter of the circle-shaped diffuser: 52 cm. 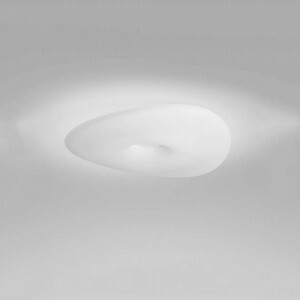 Ceiling lamp realized on design by Mirco Crosatto. In natural polyethylene with painted metal frame. With dimmable LED light source. DALI technology, with 360° light diffusion. Diameter of the circle-shaped diffuser: 52 cm.